Gregory D. Durgin joined the faculty of Georgia Tech’s School of Electrical and Computer Engineering in Fall 2003 where he serves as a professor. He received the BSEE (96), MSEE (98), and PhD (00) degrees from Virginia Polytechnic Institute and State University. In 2001 he was awarded the Japanese Society for the Promotion of Science (JSPS) Post-doctoral Fellowship and spent one year as a visiting researcher with Morinaga Laboratory at Osaka University. He has received best paper awards for articles coauthored in the IEEE Transactions on Communications (1998 Stephen O. Rice prize), IEEE Microwave Magazine (2014), and IEEE RFID Conference (2016). Prof. Durgin also authored Space-Time Wireless Channels, the first textbook in the field of space-time channel modeling. Prof. Durgin founded the Propagation Group (http://www.propagation.gatech.edu) at Georgia Tech, a research group that studies radiolocation, channel sounding, backscatter radio, RFID, and applied electromagnetics. 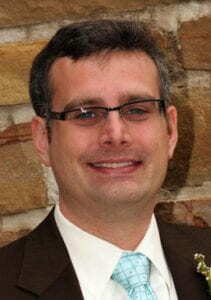 He is a winner of the NSF CAREER award as well as numerous teaching awards, including the Class of 1940 Howard Ector Outstanding Classroom Teacher Award at Georgia Tech (2007). He has served as an editor for IEEE RFID Virtual Journal, IEEE Transactions on Wireless Communications, and IEEE Journal on RFID. He also serves on the advisory committee on the IEEE Council for RFID (ComSoc Liaison). He is a frequent consultant to industry, having advised many multinational corporations on wireless technology.